Our product range includes a wide range of slitting machines, hr slitting line, mini coil slitting line, cr slitting line, steel coil slitting line and metal slitting line. We are offering Slitting Machines for our clients at a reasonable rate. 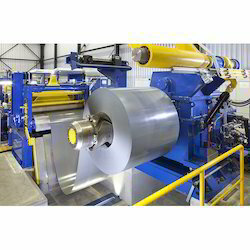 We are offering HR Slitting Line to our valuable clients at the reasonable rate. 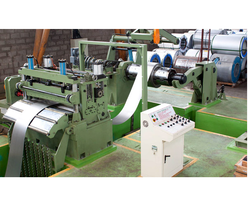 Clients can avail from the premium range of Mini Coil Slitting Line from us, which is manufactured as per the industry standards. 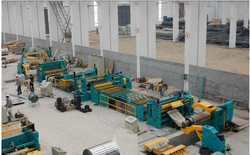 We are manufacture this kinds of Metal Slitting line known as Slitting Line, CR slitting line, Coil to coil slitting line, HR slitting line & Every line has differant models like__ECO, RAPID, SPEED. Decoiler weight capacity of 3 tons to 35 tons. We are providing here with model wise technical specification. 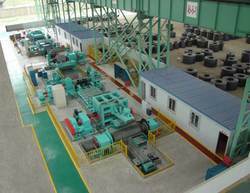 We deal in Steel Coil Slitting Line. We are leading manufacturer and exporter of this machine. We are leading preparer, Supplier, and Exporter of Metal Slitting Lines. All these Metal Slitting Lines are prepared using high-quality raw material and latest technology. All our machines are known for its durability and performance. We also cater the export orders in many countries like UAE, Saudi Arabia, Omen, Bangladesh, Asian Countries, UK, USA, Mexico, Germany, South Africa, Nigeria and many other countries.